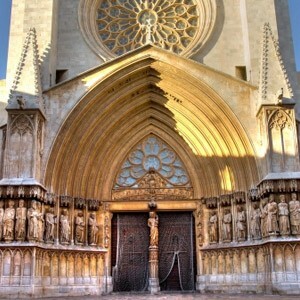 Visit Barcelona with “Eurotir Viajes” on foot or by private vehicle! We offer you different tours : panoramic , artistic (Picasso ,Gaudí, Dali … ) or cultural and gastronomic events and restaurants or nightlife. 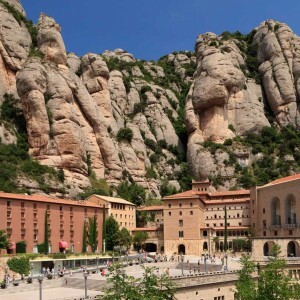 You may also know its surroundings , important places like Montserrat , Tarragona , Sitges, Girona … in comfortable air-conditioned coaches , with official guides and entrance fees. “Eurotir Viajes” is a catalan company , with professionals of all nationalities well rooted in the customs of the catalan culture. Therefore, we can offer our customers the most authentic and detailed view of their visit . Our experience is our best guarantee and our commitment is the quality of our service to satisfy our customers in every way, both in the exclusivity of our VIP services as in any other type of tour or experience you want to experience in your visit to our land. Barcelona , capital of Catalonia, is located in the northeast Mediterranean coast, is, in all probability, the most cosmopolitan , vanguard, bourgeois and economically active city in Spain. It has always proved his desire to be modern , to follow the latest international trends and to be ahead of them. All this is evident to the tourist , especially if you see the architecture that reflects so well how people focus life in this city. 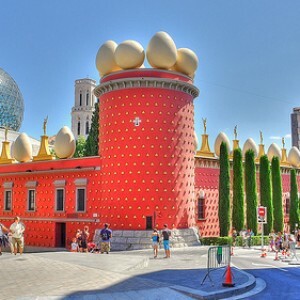 Of course, Barcelona also has an ancient history, as we see in its many Romanic, Gothic and Renaissance monuments , or even in archaeological remains of earlier periods. However, the most characteristic , or what makes this city unique , was built in the last 200 years. Barcelona is an important center of modernism , especially distinguished by the artwork of Antoni Gaudí together with great avant-garde artists , have given the city a new and exciting aspect to have placed on the cusp of modernism. Call to ask for your budget or to book tours ! You may also send us an e-mail .